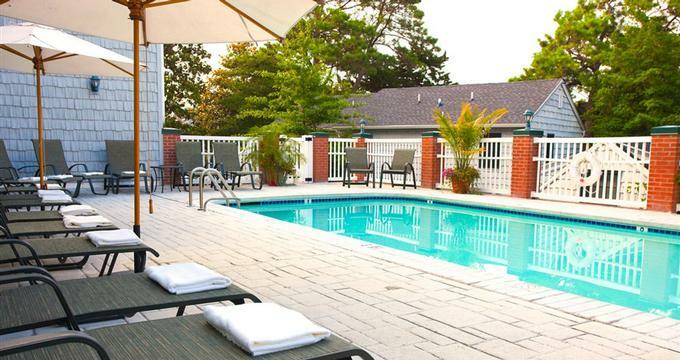 Offering guests a luxurious and pampering experience, The Bellmoor Inn & Spa is a charming resort hotel in Rehoboth Beach, Delaware that boasts deluxe accommodations, fine dining, and premium amenities. Exuding an alluring home-away-from-home appeal, the elegant hotel and spa caters to all types of travelers, from corporates wanting a quiet, executive-style stay to romantic couples looking for somewhere to create special memories. Offering deluxe facilities such as a delicious complimentary home cooked breakfast served each morning, two swimming pools and a hot tub, a modern fitness center, and a full-service day spa, the Bellmoor Inn & Spa ticks every box. Situated in the heart of Rehoboth Beach, the hotel is just a short stroll away from the award-winning Rehoboth Beach Boardwalk and beautiful sandy beaches, as well as a variety of excellent restaurants, cafés, and bars. Perfect for romantic weekend getaways, family vacations, or corporate retreats, the Bellmoor Inn promises an unforgettable stay. Boasting a beautiful old boardwalk, breathtaking sea views, and an array of quaint shops, quiet cafés, and buzzing restaurants, Rehoboth Beach has become one of Delaware's most popular resort towns. Traditionally a summer getaway for a family seaside holiday, today the establishment attracts all types, from golfers wanting to test their skills at the grand Kings Creek Country Club to outdoor enthusiasts wanting to enjoy kayaking, fishing, hiking, biking, and surfing. 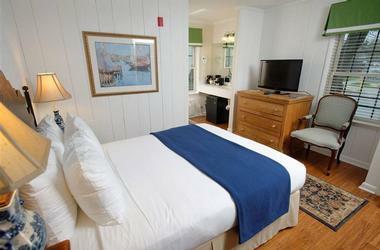 The Bellmoor Inn features graceful and elegant guest rooms and suites that combine the warmth and comfort of a quaint bed and breakfast, the charm of a cozy seaside cottage and the modern amenities of an award-winning hotel. Guest rooms are beautifully decorated with gleaming cherry floors, plush leather seating, spacious en-suite bathrooms, and lovely views. Guest rooms and suites feature standard amenities throughout, including flat screen televisions with premium channels, hair dryers, complimentary bathrobes, and luxurious hydrotherapy jet tubs. Deluxe Rooms are traditionally furnished and offer plenty of space and unsurpassed comfort with double, queen, or king-size beds, sleeper sofas for extra guests, en-suite marble bathrooms with showers, two easy chairs, and an ottoman. Deluxe Suites are spacious and bright with double, queen, or king-size beds, sleeper sofas for extra guests, and en-suite marble bathrooms with showers and hydrotherapy jet tubs. 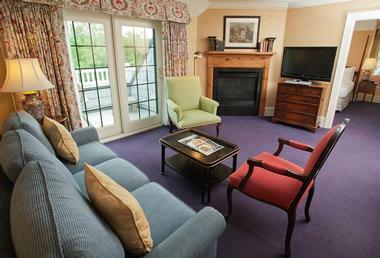 Deluxe Suites also have fireplaces and fully stocked wet bars in the living area. Garden Rooms are decorated to offer charming cottage retreats with patios that boast lovely views of the surrounding gardens and terrace. Featuring double, queen, or king-size beds, each room has a private en-suite bathroom, large picture windows allowing in natural light, a writing table and chair, mini fridge, and coffee maker. 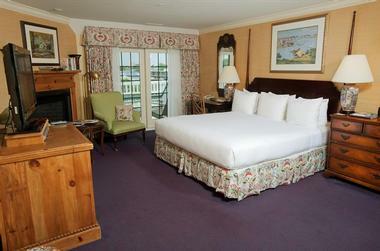 The King Garden Suite has a spacious sitting area with a plush sofa that begs for afternoon naps. The generously sized Bellmoor Club Suites are individually decorated to reflect their own character and offer deluxe amenities to ensure absolute comfort. Guests can choose from 12 luxurious and private suites that feature king-sized beds, en-suite marble bathrooms with showers and Ultra Thermo-Masseur hydrotherapy tubs for two, private library and sitting areas, and balconies overlooking Delaware Avenue. Comfortable lounges have two fireplaces, plush sofas, and a fully stocked wet bar for entertaining or simply relaxing in comfort and style. Guests staying at the Bellmoor Club Suites have access to the exclusive Bellmoor Club, which occupies the entire fourth floor of the hotel and is accessible only by a private elevator key. The private club is reserved for individuals 25 years of age or older and features a private lounge and library with leather armchairs and sofas, crackling fireplaces, an array of books, newspaper and magazines, and complimentary beverages and snacks. The Palmer House is a private six-bedroom house located behind the main building of the hotel facing Philadelphia Street. Each room enjoys a private entrance with king-sized beds, en-suite marble bathrooms with showers, and a private sun deck overlooking the beautiful Garden Courtyard. Guests are treated to a complimentary full hot breakfast every morning at the Bellmoor Inn & Spa. Prepared fresh each morning using locally sourced ingredients, breakfast delights range from fresh fruits and cereals, yogurt, and pastries to a made-to-order omelet station. There are a variety of other hot choices, including bacon, sausages, beans, and mushrooms. The Bellmoor Inn & Spa does not serve dinner. 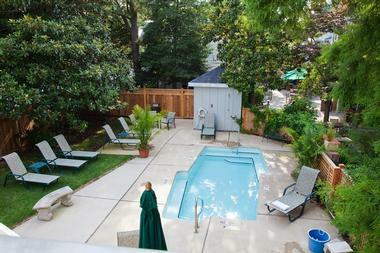 However, it is within walking distance of some of Rehoboth Beach's finest and award-winning restaurants. The tiny seaside town has much to offer in the way of culinary choices with restaurants serving every type of cuisine from Mediterranean and fresh seafood to Mexican, Italian, and French. 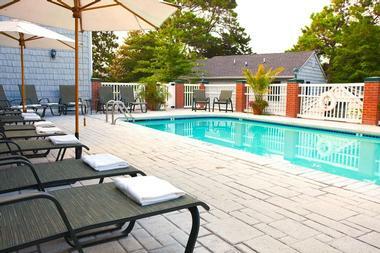 The Bellmoor Inn & Spa features a variety of deluxe facilities and amenities for guests to enjoy, including two outdoor swimming pools, an indoor/outdoor hot tub, a full service day spa, and a modern fitness center. The Family Pool is located on the second floor of the hotel and has a sunny pool deck with lounge chairs and complimentary towels, while the Magnolia Pool is reserved for adults only and is tucked away in the Garden Courtyard. Shaded by a beautiful century-old Magnolia Tree, this swimming pool is the perfect place to unwind and relax on one of the lounge chairs with a fresh cocktail. A Swedish-style indoor and outdoor hot tub is located on the second floor next to the Family Pool and is open throughout the year. The hotel also boasts a modern Fitness Center complete with state-of-the-art equipment, including a treadmill, stationary and elliptical bike, and a static weights machine, which offers a wide variety of workout options. 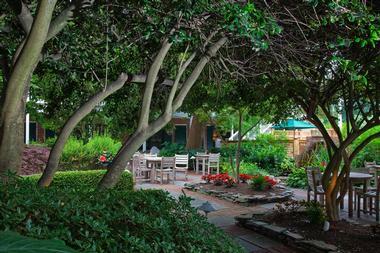 Other services and facilities at The Bellmoor Hotel & Spa include a shuttle service that transports guests to and from the beach, an electric vehicle charging stations for all electric vehicles from Teslas to Volts, and complimentary high-speed wireless Internet throughout the hotel. There is also a guest computer located on the first floor. The Spa at the Belmont offers guests a variety of pampering and indulgent spa experiences, packages, and services ranging from specialty massages and body treatments to skin care, facials, and waxing. The luxurious day spa features a full service day spa set in stunning, tranquil surroundings, which include swimming pools, a relaxing sun terrace, and lush gardens. Melt all stresses and anxiety away with one of the spa’s treatments or massages, which promise to refresh, rejuvenate, and revitalize. Signature massages and treatments include the Bellmoor Stone Massage, Leaping Lemongrass Reflexology Treatment, Chocolate/Raspberry Sugar Scrub, and a Pumpkin Enzyme Peel Facial. The spa also offers couples' treatments and spa packages for special occasions, and it is open to both guests of the hotel and the public. The Bellmoor Inn & Spa offers outstanding facilities for meetings, banquets, corporate events, and weddings with a range of different rooms that cater to all event types and sizes. Designed for comfort, conference rooms are decorated with rich wood paneling and elegant grass cloth wall coverings. 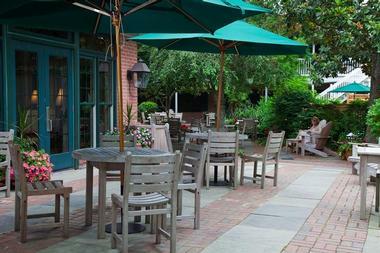 They open out onto the lovely Magnolia Garden and Fountain Courtyard, which offer a beautiful backdrop for any event. The Kent and Sussex Rooms can accommodate up to 50 people and are perfect for small meetings, while the Magnolia Meeting Room offers a cozy meeting room environment at 285 square feet and can accommodate up to 15 people. The Delaware Meeting Room is the largest meeting room at 1400 square feet and can accommodate up to 100 people and is ideal for conferences, large meetings, and other social events. The Bellmoor Inn also provides an array of professional staff to take care of every detail, from catering menus to seating arrangements and audio systems. The popular seaside resort town of Rehoboth Beach offers a wealth of fun-filled things to see and do whether you are an outdoor lover or culture buff. With its beautiful old boardwalk, pristine sandy beaches and rolling waves, and bustling restaurants, this lovely little town has something for everyone. Shopaholics will delight in the famous Rehoboth Beach Tanger Outlets, which is situated just a short stroll away from the hotel and offers tax-free shopping at over 100 outlet stores. Rehoboth Avenue in downtown Rehoboth Beach is also home to a variety of delightful boutiques, clothing, jewelry, and accessory stores. Explore one of the many state parks and reserves in the area, which offer fantastic hiking trails and mountain biking paths such as Cape Henlopen State Park, Gordons Pond State Park, the six-mile Junction, and Breakwater Trail. Sample some of the regions finest wines and beers at the Dogfish Head Brewery in historic Milton or the Nassau Valley Vineyards in Lewes – both a short drive from The Bellmoor Inn. Rehoboth Beach offers an array of water sports for the whole family, ranging from surfing, swimming, and sailing to jet skiing, kayaking, fishing, and stand-up paddling. Golfers can enjoy a round at one of three championship golf courses in the areas, including The Rookery, The Peninsula, and Bagwood Greens. Back to: Romantic Trips in Delaware.